Diana Princess of Wales. 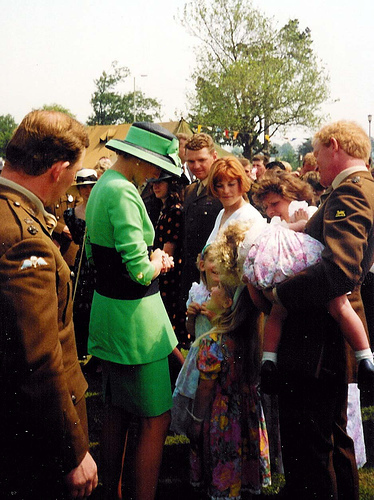 Diana Princess of Wales in conversation with soldiers & their families from The Princess Of Wales Royal Regiment. Canterbury 1995. Wallpaper and background images in the राजकुमारी डाइना club tagged: lady diana. This राजकुमारी डाइना photo might contain ग्रीन टोपी, विशेष बलों, कुलीन सैनिक, हरे भरे, विशेष बल, हरी टोपी, and अभिजात वर्ग सैनिक.